Here is what I received for Christmas that was VW related. 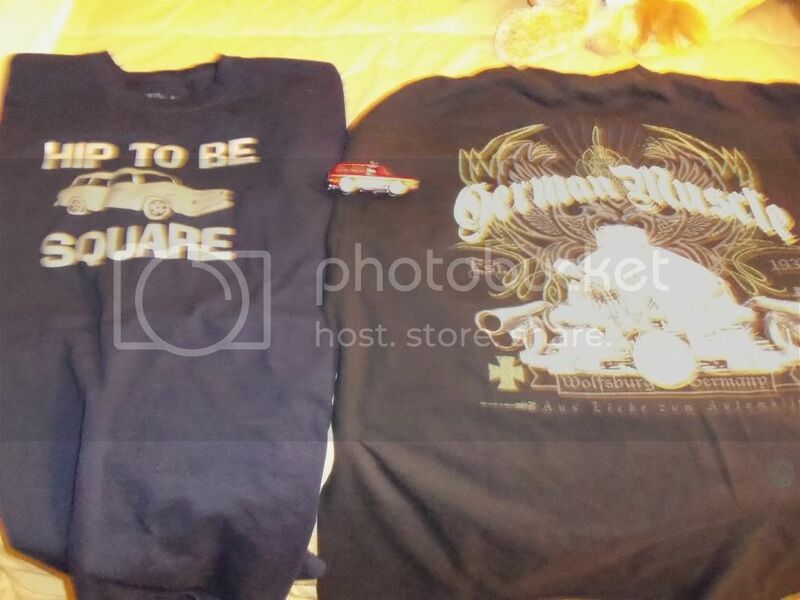 Two cool t-shirts and the small red thing is a squareback ornament. My neighbor made me a nice little wooden sign that reads "Old VW's never die, they just come here." It's hanging over the man door of my shop.